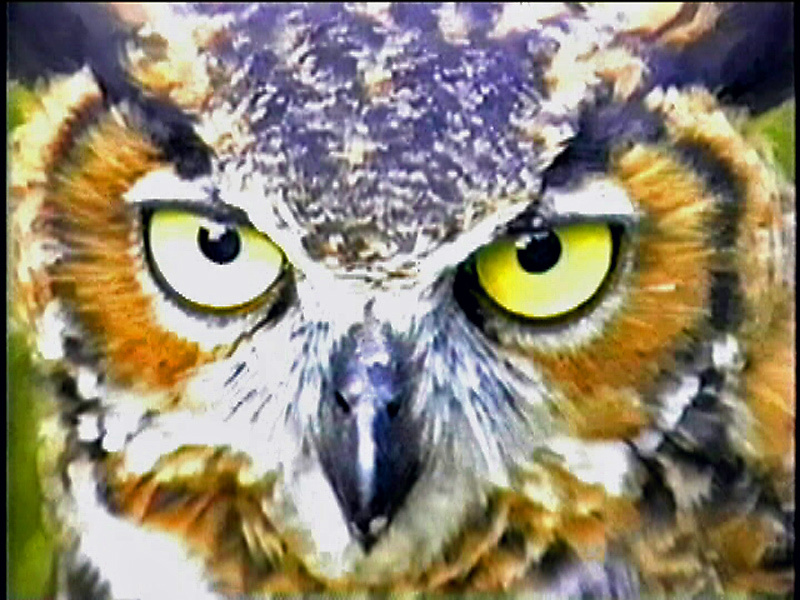 This Great Horned Owl was photographed with a VHS video in Muskego, Wisconsin in 1988. 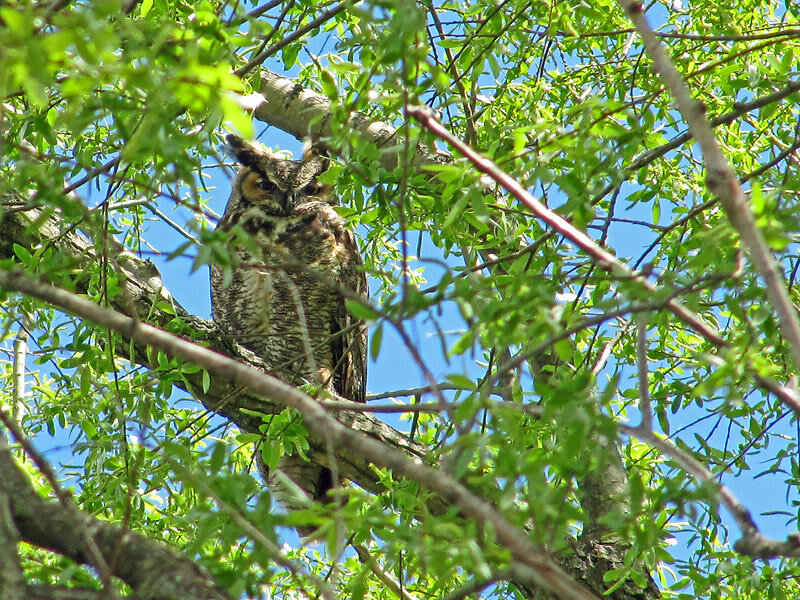 The Great Horned Owl is either red-brown or gray in color with large tufts. It varies regionally from very dark to very pale and has a white throat bib. It habitats in North America in forests, mixed woodlands, streamsides, open country, shady suburbs, and city parks. It roosts during the day in high perches, and is active at night. It has no regular migration but may wander long distances in fall and winter. It’s diet is varied, mostly mammals and birds. May begin nesting very early in the North-late winter. 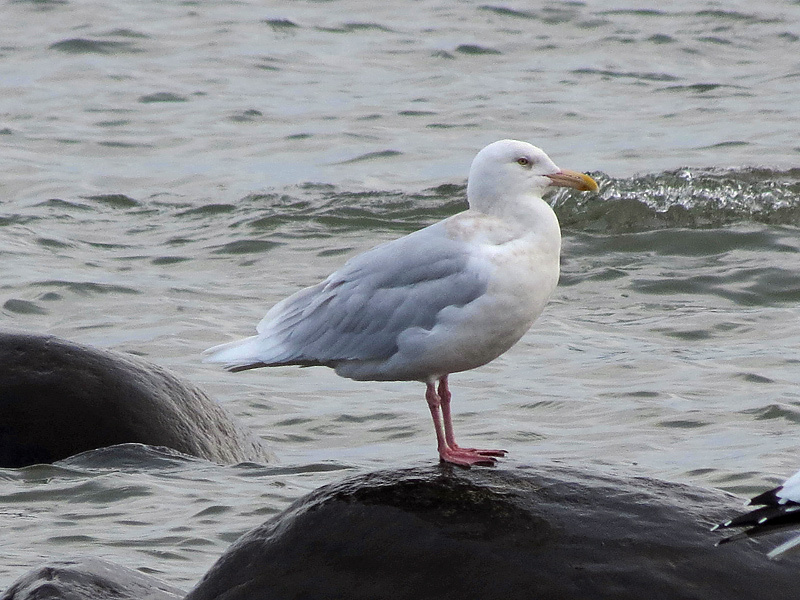 This lone Glaucous Gull was photographed north of Bradford Beach in Milwaukee, Wisconsin on Lake Michigan. The Glaucous Gull is a chalky white gull with a gray mantle, frosty white wing tips, flesh colored legs, and large yellow bill. Adults have a pale gray mantle. It has a range of the Arctic; circumpolar, and comes to the Great Lakes and the northeast US coast. Also Alaska, western Canada coast, and northwestern US coast. It is the only large Gull common to the High Artic. It has a coastal habitat and seldom comes inland. The diet is highly variable, includes fish, mollusks, crustaceans, worms, sea urchins, insects, birds, eggs, berries, seaweed, and carrion (dead animals). 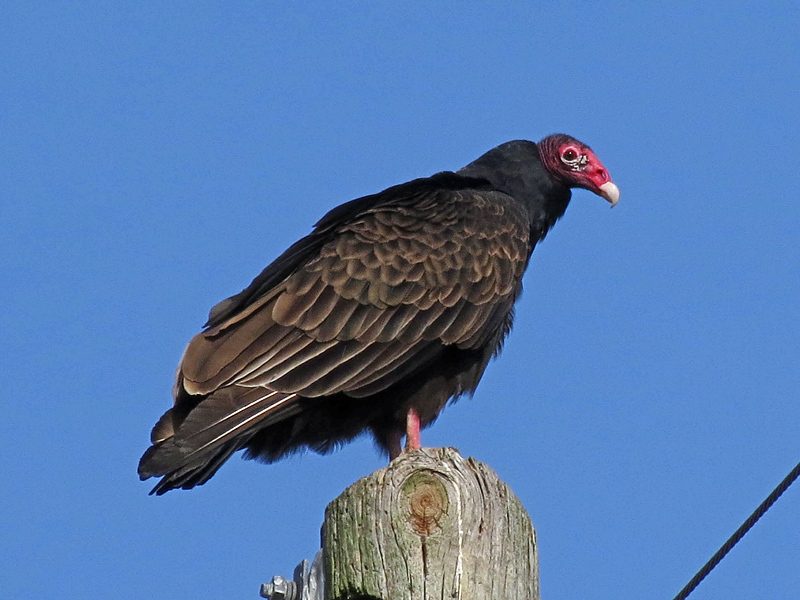 This Turkey Vulture was photgraphed on a power line right-of-way in Pittsboro, NorthCarolina. The Turkey Vulture is an eagle sized (spread 6 ft) black bird with a red turkey like head. Immature birds have black heads. When overhead note the 2-toned blackish wings as it soars, rocks and tilts unsteadily. It is a familiar sight over much of North America. It is a bird-of- prey and plays an important role in natures clean up, quickly disposing of carcasses of dead animals. It has a range over the United States and Southern Canada. It migrates in flocks and may travel long distances without feeding. It has a widespread habitat over open country, woods, deserts, and foothills. It varies from the Black Vulture by having a red head and a longer tail. It feeds mostly on carrion (dead animals and fish).